Ondo State University of Science and Technology (OSUSTECH), Okitipupa, Center for Continuing Education and Human Resources Development (CCEHRD) Joint University Preliminary Examination Board (JUPEB) Admission Form, Available Courses, Method Of Application Guidelines for 2018/2019 Academic Session. 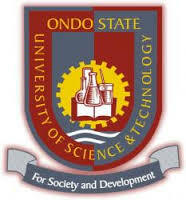 Applications are invited from suitably qualified candidates for admission into the Ondo State University of Science and Technology (OSUSTECH), Okitipupa, Ondo-State JUPEB programme for the 2018/2019 academic session. OSUSTECH JUPEB Admission Eligibility: Eligible Candidates must possess minimum of 5 Credits (English Language inclusive) at maximum of two sittings in relevant subjects to the candidate’s desired course of study in the University. Duration: The Programme shall run for 12 calendar months beginning from August, 2018 to June, 2019. It is an intensive programme to prepare exceptionally brilliant candidates for admission into the 200 level degree programme offered by JUPEB AFFILIATED UNIVERSITIES. The Programme leads to the award of JUPEB Certificate which enables candidates gain Direct Entry admissions into 200 level of the desired course in any University of choice in Nigeria. Applicants are to note that the above listed subject combinations meet the requirements for admission into Degree Programmes in the Faculties of Sciences, Agriculture and Engineering in Ondo State University of Science and Technology, Okitipupa and Arts, Law, Education, Social and Management Sciences and Colleges of Health Sciences in other Universities in Nigeria. Applicants are advised to select subject combinations relevant to their intended course of choice. The following courses are available for candidates seeking admission into the Degree Programme after satisfactory performance. Applicants are to pay a non-refundable fee of Fifteen Thousand Naira (N15, 000.00) only through Remitta Payment Platform at any branch of First Bank, Skye Bank, UBA Plc, ECOBANK Nationwide. A remitta payment receipt which contains a RRR Pin Number will be given to you at the Bank. (Please, note that it excludes bank charges). The passport photograph must be coloured with white background. The size should not be more than 100KB. After filling the form, submit and print out your bio-data information. All Applicants are advised to be checking the website from time to time for the actual date of the Preliminary Entrance Examination and other relevant information. Also, applicants are to submit the printed copy of the bio-data form and remittal payment receipt to the University JUPEB office on or before the entrance examination date. Applicants are to note that 2018/2019 JUPEB Entrance Examination holds at the OSUSTECH University Mini Campus.